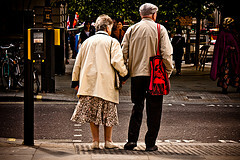 Vulnerable adults include the incapcitated and those over 65 years old. The use of the phrase vulnerable adult usually brings to mind an elderly person or a senior citizen, and while this classification is normally accurate the actual statutory definition focuses on the ability of the individual. Under Utah law, a vulnerable adult is someone who is unable to provide for his or her basic needs, protect his or her self, or manage his or her resource or daily living. To protect the individuals who fit into this class the legislature has passed a special abuse law specifically focusing on vulnerable adults, the crime of Abuse of Vulnerable Adult, which can be reported directly to the Attorney General’s office. If you’ve come under investigation for such a crime contact a Salt Lake City abuse of vulnerable adult lawyer today at Salcido Law Firm. There are two levels of the crime of abuse of a vulnerable adult, the more severe charge is aggravated abuse of a vulnerable adult. What separates the two offenses is the severity of the injury caused. If an individual has caused seriously bodily injury or allowed seriously bodily injury to occur then they will be charged with aggravated abuse of a vulnerable adult and can be charged and convicted of a felony. If the injury is less than seriously bodily injury then the charge will simply be abuse of a vulnerable adult and can be charged and convicted of a misdemeanor which could mean months in jail. Violent crimes are some of the most aggressively prosecuted crimes in our legal system because there is often a clear victim that the prosecution feels deserves justice. However, as you look over the elements of the crime of abuse of a vulnerable it is clear that there could easily be a circumstance where a person may have simply been negligent or made a mistake about the care of the vulnerable adult and while society may not view those actions as criminal they still come within the bounds of the crime and the person can be charged and convicted. Due to the difficulties of sweeping criminal statutes like this one it is important that accused individuals have a competent Salt Lake City abuse of vulnerable adult lawyer at their side to help them defend themselves. If you have been charged with abuse of a vulnerable adult or some other violent crime then call a Salt Lake City abuse of vulnerable adult lawyer today at Salcido Law Firm for help with your case. Our lawyers are experienced trial attorneys that no how to work within the courts to get their clients the best results available. Call or email us today to set up a free consultation and see what we can do for you.